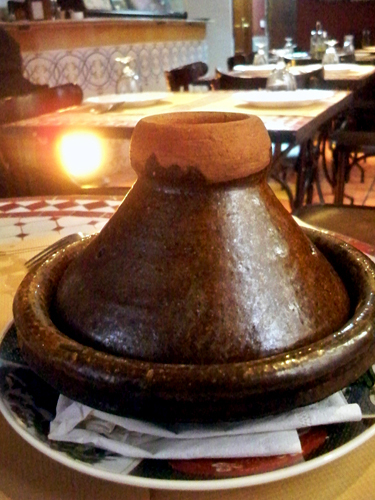 Near Parterre Park, there’s a small, inconspicuous Moroccan restaurant on the corner of C/ Nave and Bonaire (location). Welcome to Al Adwaq. 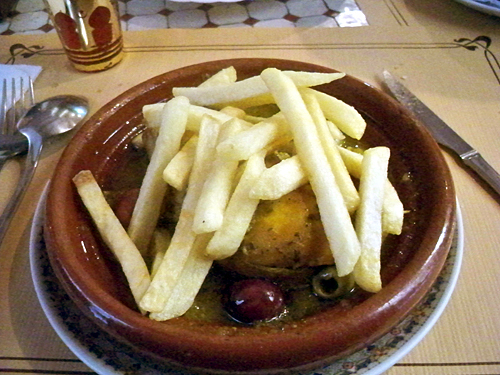 The food here is great, with a blend of North African and Middle Eastern dishes. For €11.50 weekdays, you can choose 2 plates and a drink, though be advised that there is nothing alcoholic on the menu! 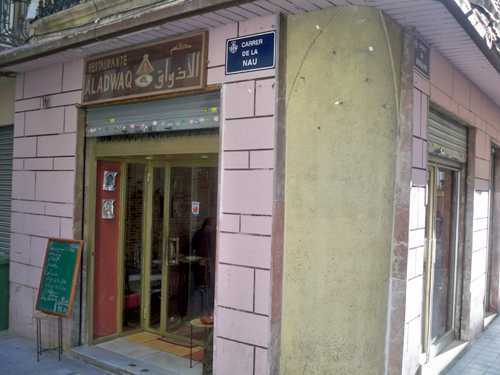 This is an establishment that respects Islam… the walls hold portraits of foreboding clerics keeping watch while you eat. 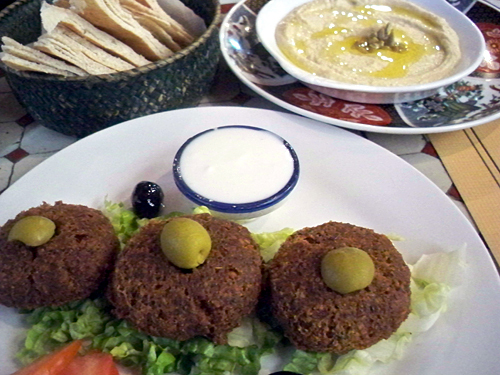 We had humus and falafel for the first plates, and then Chicken Seffa and Chicken Tajin. The food was delicious, though portions were a little small considering the price. 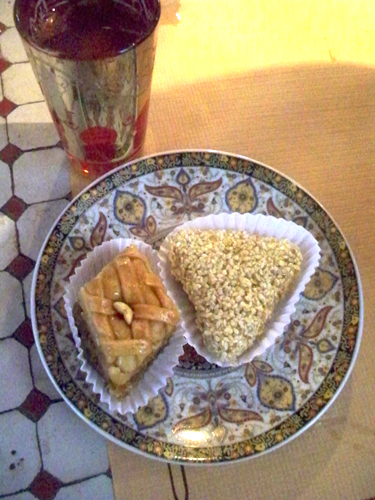 The desserts, too, were tasty but left one wanting more. This is a tiny place, with just a few tables. 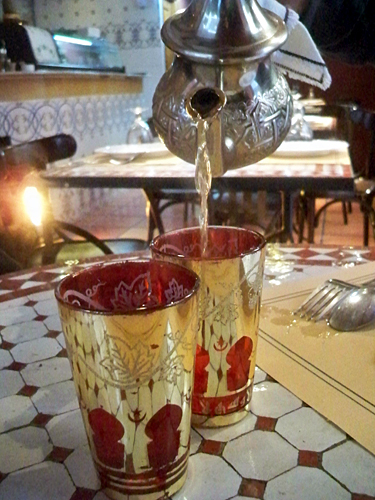 When we visited, we were the only customers, save for a group of Moroccans. 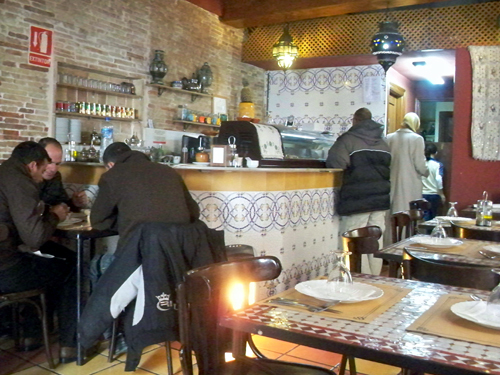 The staff (just one woman, in our case) was friendly, and happy to explain the menu, in English as well as Spanish. Al Adwaq seems to be much more popular on the weekends than the weekdays, which we don’t understand. If they dropped the price of their menu by a couple Euros, it’d probably be packed every day! 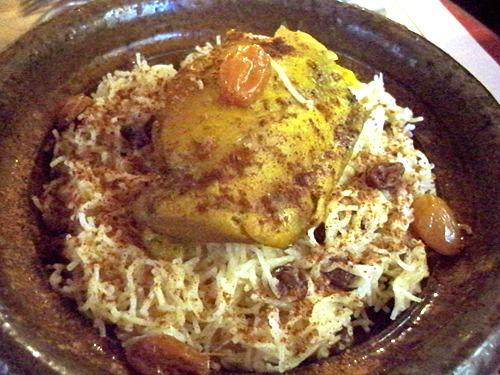 In any case, if you’re a fan of North African cuisine, Al Adwaq is definitely worth a look.